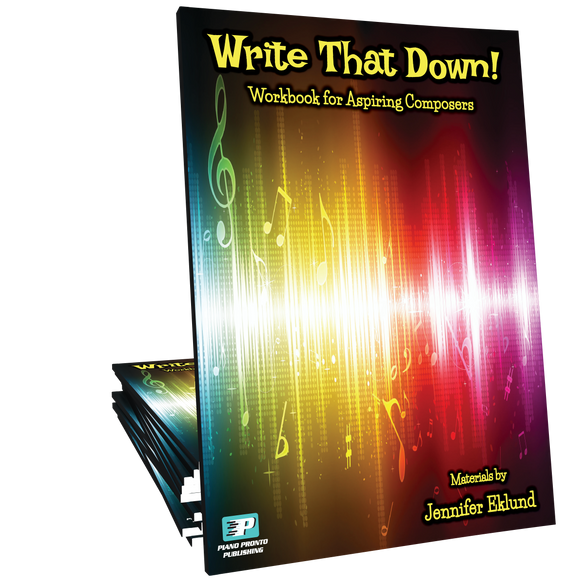 Write that Down is a composition workbook by Jennifer Eklund intended for students of all ages and levels. 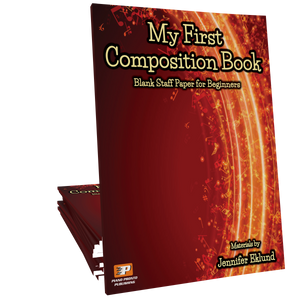 Students will learn essential songwriting skills through scalable, template-based activities that take the “fear of the blank page” out of composition. Teachers are encouraged to use these exercises as a launching pad to creating other similar exercises for their students. Thank you, Jennifer, for this awesome resource. My students are composing like never before. Several students will perform their own compositions at our upcoming winter recital. This is a must have book in any teacher's library. Awesome guide for teachers dipping their toes into composition with their students. Also, some new ideas for seasoned teachers. Oh, Jennifer, thank you so much for this resource. For those of us who are compositionally-challenged, this is beyond wonderful! It helps us get our kids started, and maybe even ourselves! Thank you so much for your generosity! 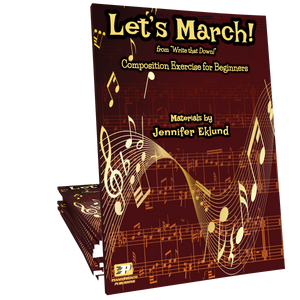 No one composes like Jennifer Eklund, so to have this invaluable guide to teach beginners the art that she has mastered is just fantastic. I've looked at many other approaches to composition and none are as straight-forward and clear as this one. I'm excited to use it with my students! Every teacher needs this in their studio. It's such a practical tool! This is a wonderfully different approach to teaching beginning composing. Students will begin learning how to write beautiful melodies and use harmony that is satisfying to the composer and listener. My students love this approach to song writing! 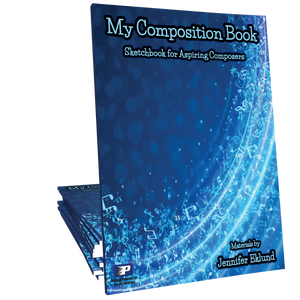 Finally, a composition workbook that is actually useful!